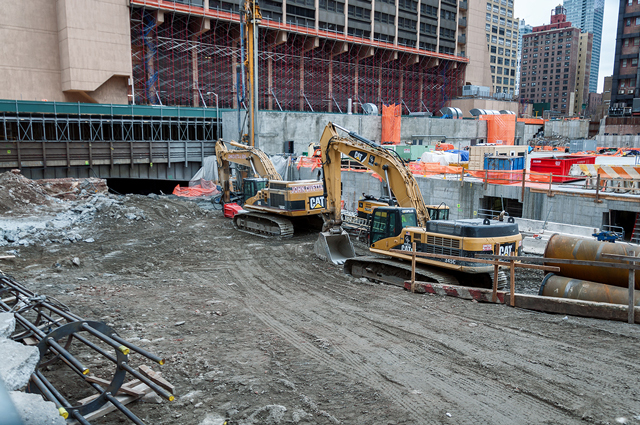 The last time YIMBY checked in on progress at Brookfield’s Manhattan West, a little over a year ago, construction had just reached above ground level. Now, the superstructure for the first tower, at 401 Ninth Avenue, is closing in on the halfway mark, and in the past few days, glass installation has also begun. 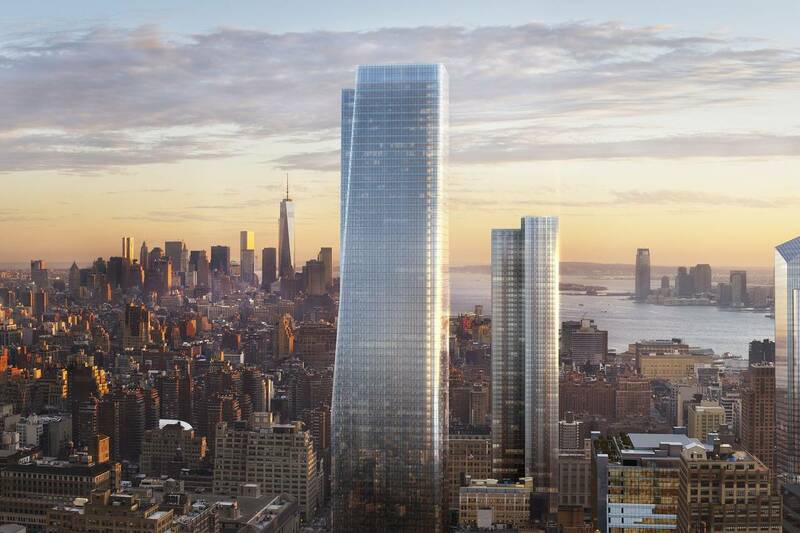 Plenty of attention has been paid to Oxford and Related’s Hudson Yards, but just next to that mega-development is another. That is Manhattan West, from developer Brookfield Properties, and its first new office tower is quickly rising above ground.